Blogger’s confession here: I am a total, 190% Popol Vuh fanboy. I don’t post about things I don’t like here at MYOT, but some things are just better than others. Some things are beyond perfect, and Popol Vuh’s perfect sound is a huge influence on my own musical work. So let’s get that disclosure out of the way. 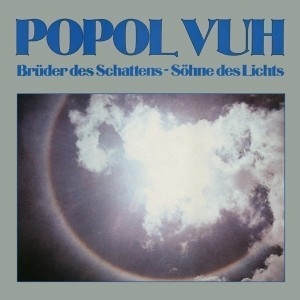 For those not in the know, Popol Vuh was a Kraut”rock” group which essentially consisted of keyboardist Florian Fricke and a cast of members that included such luminaries at different times as guitarists Daniel Fischelscher and Conny Veit, vocalists Djong Yun and Renate Knaup (also of Amon Düül II), and oboeist Robert Eliscu (of Between). I use the term “rock” as loosely as possible, because Popol Vuh’s music is something unto itself. The group’s first two efforts were more electronic, though In Den Gärten Pharaos had more organic elements. After that Fricke decided on a change in direction to a more folk-based style, featuring acoustic guitars as well as electric, acoustic piano, and Djong Yun’s haunting vocals. This stage lasted several years, and was followed by a final “choral” stage in which Fricke invented his own form of secular spiritual music on albums like Agape – Agape. The uniting theme throughout all the work is Fricke’s attempt to reconcile ancient mysticism with the modern world and to express the reality of universal love through sound. Heavy stuff, and an endeavour which most would fail at. Fricke succeeded over and over. The instrumental album discussed here was released in 1978, towards the end of stage II. Many film buffs will remember the prominent placement of several segments of the title track in Werner Herzog’s version of Nosferatu (Herzog loved the group’s music and used it in many films). This recording is a perennial classic for me, a well to which I return again and again for more of that sweet water of life that only the best music represents. On it Fricke forges his own distinct path in a way that possibly provides the best representation of his spiritual genius. There are five tracks, but the behemoth of a title track is the focus and the pinnacle of Fricke’s work. It’s a two-part suite of different moods that hangs together beautifully and it certainly doesn’t feel like 19 minutes have passed when it finally concludes. It begins with the most spectral use of choral sounds I’ve ever heard, a two-note dirge that provided such effective background sound for Herzog’s scene of Nosferatu’s castle. I guess it’s a real choir, since one is credited, though it sounds very much like a mellotron. Mind you, I’ve let that filmic visual colour my perception — it’s very likely meant to be uplifting. Either way, it’s incredibly, astoundingly beautiful. It’s joined by the oboe before breaking out into a rising build-up of a melody with the oboe fluttering like a bird in Fricke’s own “lark ascending” type of setting. The spiritually enriching effect is like listening to an ancient piece of music resurrected from a lost utopian civilization. It’s as close to magical as music gets. Then it breaks down into a folk piece of chiming acoustic guitar, soft percussion, and delicate, repetitive piano and electric guitar notes, as though the rites are over and it’s time to celebrate. This plays out over several minutes before the piece wends to a peaceful end. It’s kind of hard to describe the quiet dignity of this music, so why don’t you just click the link at the bottom? The other four pieces (the 5th is a resurrected bonus track that fits perfectly with the rest) are in a similar vein, comprised of sparse but soaring piano, delicately plucked and melodic guitar and the occasional sitar. 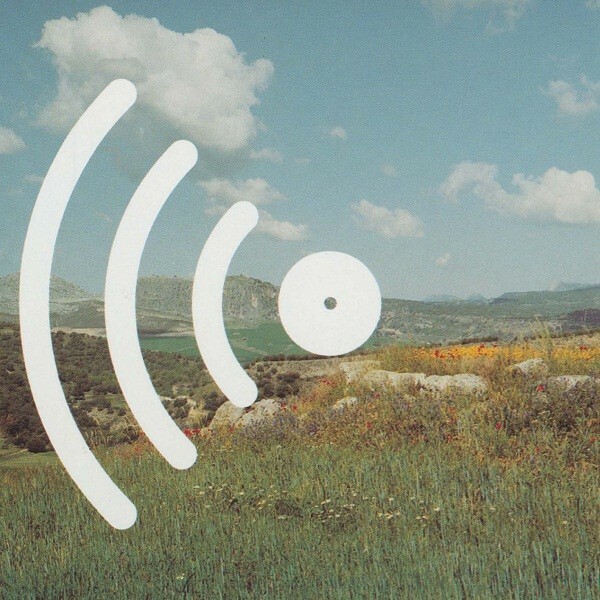 “Höre, der du wagst” is a minimalist masterpiece of throbbing bass and tinkling cascades of piano in which less is truly more. The last two pieces, “Die Umkehr” and “Sing, for Song Drives Away the Wolves” are similar to the pieces on Popol Vuh’s other masterpiece from this period, Letzte Tage – Letze Nächte, on which the electric guitar is more prominent. On this recording, Fricke truly surpassed himself. It’s not ambient, it’s not prog rock, it’s not even really Krautrock. It’s like nothing else, and it has spawned a thousand imitators, but none of those possess Fricke’s singular visions of the great beyond. It’s a must-have for any serious music fan. If you’re a Stephan Micus fan, you’ll probably be a Popol Vuh fan. Have you heard Ray Lynch’ ‘Nothing Above My Shoulders but the Evening’? Indeed! I’ve got every single one of Micus’s albums. Ray Lynch, not…I’ll check it out. Thx!